Missouri doctors deserve the very best in protection. MoDocs provides a superior policy designed to put our doctors first. For example, MoDocs gives you true consent-to-settle written in clear language. You should never be forced to give up your consent-to-settle and then have to settle a frivolous claim or be subjected to arbitration proceedings held by unknown or unqualified panel members. Arbitration, mediation and hammer clauses are onerous provisions lurking in many policies. These provisions are dangerous and all negate true consent-to-settle. Other critical areas to consider are incident-triggered coverage and coverage in any jurisdiction. MoDocs provides qualifying members free tail coverage with unlimited duration that also includes your corporation. Our professional staff will consult with you and your administrators regarding these and other important policy provisions. We recommend that you read your policy carefully. 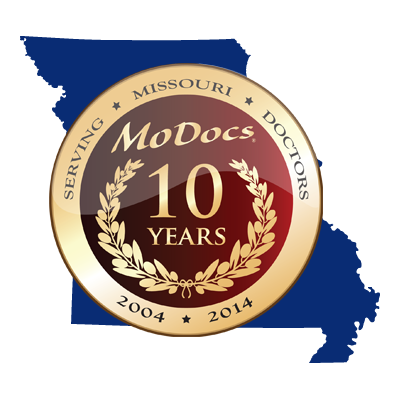 Click the button below to watch a short 2 minute video about MoDocs Freedom Tail and what it does for Missouri Doctors. MoDocs provides options for you to manage your retirement years. MoDocs offers the ability to return to practice anywhere from 6 months to 3 years after retirement without penalty. We are the only company to offer this level of flexibility. This option is potentially worth tens of thousands of dollars to your specialty. Moonlighting is a medical liability insurance product designed to meet the needs of doctors with a limited practice. If you are hospital affiliated, work for the government, are retired or simply performing charitable work this program might be for you. Unlike our competitors who offer a verbal commitment that your rates will not go up, MoDocs endorses it in your policy. With the Supreme Court’s overturn of Tort Reform in our state, an endorsement like this is more important than ever. Some competitors have forced doctors to give up their right to consent to settle a claim. If they thought it was in their company’s best interest, they could settle a claim against you even if you felt your care was perfect. If that happened, you would receive a permanent black mark in your National Practitioner Data Bank file. MoDocs lets you keep this critical right. Some companies require doctors to agree in advance to mediation or binding arbitration. It’s easy to imagine a case where the accused doctor would feel that the care given was standard, but the mandatory mediation or arbitration resulted in a settlement that would forever damage the doctor’s National Practitioner Data Bank file. MoDocs will not require mediation or arbitration. Some policies impose a very onerous provision called a “hammer clause”. If you are sued and your insurance company receives a settlement offer they wish to accept, but that you refuse or block, then the hammer clause makes you personally liable for any subsequent judgment or award amount in excess of the settlement amount offered earlier—EVEN IF THE EXCESS AMOUNT IS WITHIN THE POLICY LIMITS! With MoDocs, when you report an incident, it is covered whether or not you ever buy a tail, unlike some companies. They require that you report an incident, but it isn’t covered until you receive a demand or a summons. If you reported a bad incident, but renewal time came before the lawsuit did—could they cancel you, leaving you without coverage for that incident? DANGER! Some companies limit their tail coverage to a short period. Unfortunately, the statute of limitations doesn’t always run within that time. If a claim were to be first made after expiration of the short term tail, there would be no coverage at all. MoDocs offers true tail coverage. MoDocs will provide you with a free tail if you: die; become totally disabled; or retire over the age of 50 after three consecutive years with MoDocs. These provisions are far superior to those of our competitors. Some companies include the cost of defending a claim as counting toward the policy limits. Defense costs of $100,000 under a policy with a $500,000 limit would leave only $400,000 to pay a claim. MoDocs pays defense costs outside the limits, giving you the full protection of your policy. As a mutual Chapter 383 company, MoDocs is a not for profit entity, owned by the doctors it covers. Unlike a stock company, MoDocs doesn’t need to make a profit for shareholders. MoDocs’ business plan is to be competitive in order to keep premiums low, making it easier for doctors to stay in Missouri. We are also selective, in order to keep claims (and thus premiums) down. Chapter 383 companies, being assessable, have the ability to assess members in times of bad losses. The fact is some stock companies have gone bankrupt, but never a 383. According to the Missouri Department of Insurance, they are not aware of a 383 medical liability insurance company ever assessing its members either. MoDocs is safer than a stock company.